During a recessionary period in the Southern California real estate cycle, The Picerne Group recognized the opportunity to invest in a well located but under-utilized parcel of land north of downtown San Diego. At the time The Picerne Group alone recognized the immense opportunity to rezone the parcel of land, historically used for asphalt and aggregate production, to residential and retail uses. 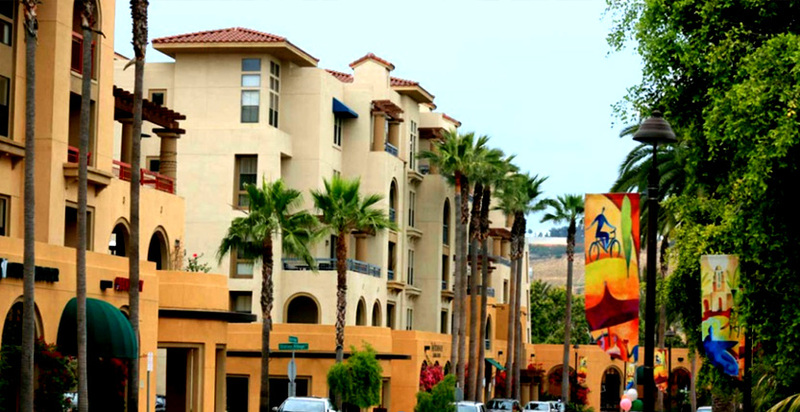 Upon completion of a purchase agreement The Picerne Group worked with San Diego City officials to acquire the appropriate entitlements, thereby creating significant value. This effort resulted in the successful transition from quarry land to the development of a mixed use transit oriented community that takes advantage of existing light rail and riverfront trails. The success of the transaction is indicative of The Picerne Group’s ability to capitalize on its contrarian investment perspective.